Team Russia clashed with Team World in an incredible VTB All-Star Game. Team World was victorious with a 118-115 win over Team Russia in the stunning VTB League All-Star Game. MVP Sergio Rodriguez and Dorell Wright led the winning team, coached by Dimitris Priftis, by adding 20 points each. Andrey Vorontsevich posted 30 points for the Russian Stars, coached by Oleg Okulov, while Nikita Kurbanov finished with 18 points. In the meantime, Vitaly Fridzon and Viacheslav Zaitcev won the three-point and dunk contests respectively. 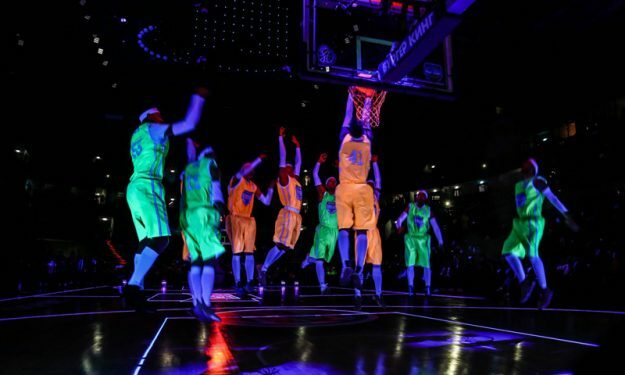 This All-Star Game was also spectacular from an organization point of view, offering fans a unique experience of watching players get buckets with black light reflecting on their colorful jerseys and the court! Truly a unique occurrence in European territory.